Our program consists of the core subjects of religion, language, literature, math, science and social science. These core subjects are supplemented by enrichment classes consisting of art, band, chorus, physical education, technology, Spanish, library, science lab and guidance. Saint Matthew is known for its commitment to academic excellence. The school follows a rigorous curriculum that is designed to engage all students while addressing the diverse needs and capabilities of each individual. The school follows a curriculum that is vertically aligned in order to ensure that each student will complete a sequence of academic courses based on national standards. To this basic framework, the school enhances and expands the curriculum with extensive additional resources and challenging learning strategies. The school maintains high expectations for each student, and there is a system in place for students who need additional support. Combining the expertise of a learning specialist, extended learning sessions before school, and a diversity of teaching methods, all students can advance successfully. Teachers consistently use instructional strategies that require students to apply their knowledge, integrate their knowledge with other disciplines and use technology as a learning tool. From SMART Board technology, to robotics, to iPads, students continually perfect their skills. Interactive textbooks are also used to familiarize students with digital learning. 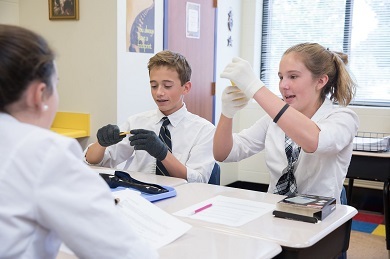 Standardized test scores such as the Iowa Assessment and the Duke TIP show that Saint Matthew students are performing at a very high level and are well-prepared to be successful at the next stage of their academic development. 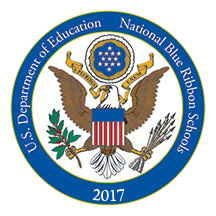 These results are affirmed by the recent announcement by the U.S. Department of Education naming Saint Matthew School a 2017 National Blue Ribbon School. Out of 130,000 public and private schools in the country, only 342 schools received the 2017 Blue Ribbon Award, placing Saint Matthew in the top 0.3% of schools who received this coveted award. Additionally, anecdotal evidence from area high schools, and other schools to which Saint Matthew students apply, reflects favorably on the academic preparedness of Saint Matthew students. They note that Saint Matthew students are always among their best students and can be immediately identified by their polite and respectful behavior, their organizational and study skills and their academic proficiency. The Pre-Kindergarten 4-year-old program develops children emotionally, cognitively, physically, socially and spiritually. Positive reinforcement guides students in age appropriate activities and academic readiness for success in elementary school. 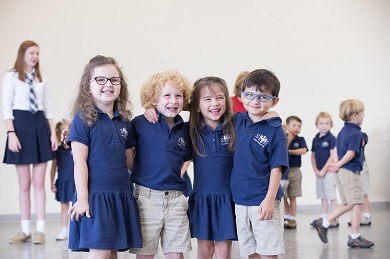 The Pre-Kindergarten 4-year old program meets and exceeds the curriculum objectives outlined by the Diocese of Nashville. It is enhanced with Everyday Mathematics as well as Handwriting Without Tears. Students engage in music, art, Spanish, technology and physical education on a regular basis. Children learn through both structured activities and play. Traditional and Montessori teaching methods are introduced. The Catechesis of the Good Shepherd engages the child in developing a life-long relationship with Jesus. Kindness is a virtue that is learned and celebrated daily through our themes, words and actions. There are two options for students; a 3-day class held on Tuesday, Wednesday and Thursday, or a 5-day class held Monday through Friday. Both sessions run from 8:00 a.m.-2:45 p.m. Before and after care is offered on Monday through Friday. 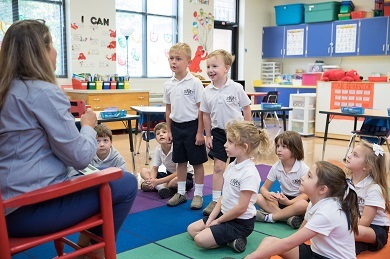 The full day kindergarten program offers a strong academic course of study that is designed to accommodate the developmental stages of the young learner. This child-centered program meets and exceeds the state and diocesan standards for content learning. Center time play and other special themed programs and activities encourage cooperative learning, stimulate independent thinking and help foster a love of learning. In our caring and loving environment, a climate is created that allows students to feel a sense of belonging, share and take turns, practice manners and respect and accept guidance and authority. These experiences lay the foundation for a smooth transition to first grade. Future academic success is dependent upon the foundation built in grades one through three. The curriculum focuses on each child’s learning style and rate of development. Teachers employ a variety of teaching styles to accommodate the varied learning styles of our students – visual, auditory and kinesthetic. The program is student-centered and promotes critical thinking and self-dependency. Classrooms are self-contained for the core subjects of Religion, Language Arts, Math, Science and Social Studies. Enrichment classes include art, music, physical education, library, science lab, Spanish, guidance and computer lab (3rd grade). 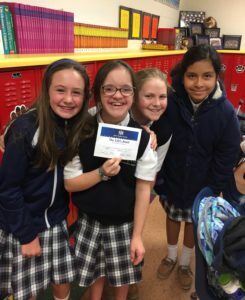 Students in grades one through three continue building a relationship with Jesus Christ through daily religion class, and other activities such as, attending Mass two times per week, preparing and receiving First Penance and First Communion, attending First Friday Adoration, meeting with older student prayer buddies, and participating in a study and portrayal of the saints. At Saint Matthew School, the Intermediate grades are years of transition between the elementary grades and the middle school grades. It is here that the foundation laid in the elementary years takes root, and students become increasingly independent and can apply what they are learning to make new connections. Academic material becomes deeper in content, and students begin to change classes in the core subjects of math, science, language arts and social studies for the first time. Students are challenged with long-term projects and take responsibility for their own learning as they acquire greater study and organizational skills. These are years of great growth in maturity, academics and self-reliance. 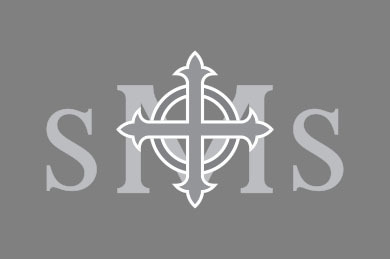 Middle School academics at Saint Matthew School are designed to challenge students with a rigorous curriculum which includes subjects such as biology, physics, chemistry, Algebra I, novel studies, Harkness discussion circles, research papers, world history and civics. The program is designed to enhance student writing, speaking and critical thinking skills. As a result of matriculating through the program, our students become innovative thinkers, strong learners and natural leaders. Students begin their middle school years as children and end them as young adults who have the total foundation necessary to be successful in high school. The Inclusive Education Program at Saint Matthew School is offered for students with intellectual and developmental disabilities. Enrollment into the program is limited so that we can provide each student with what he or she needs to learn and grow with us here in our Saint Matthew School community. Please contact Lori Bellante, our Advancement Director, at 615-550-5106 for more information. The science curriculum is taught through experiential and exploratory activities using concrete, manipulative materials. 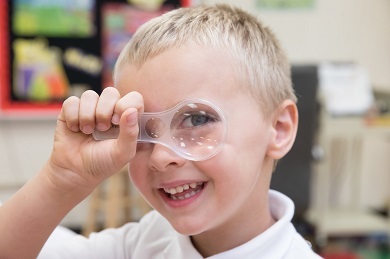 All students in grades K-8 enhance their learning with exploration in the Science Lab, where their lab experiences enrich their academics far beyond the science and math classrooms. The goal is to engage students with hands-on activities and inquiry-based lessons on a regular basis. Students are challenged to explore materials and scenarios and devise possible explanations for their results. Students work in collaborative groups exploring outcomes, while gathering data and sharing discoveries and explanations with each other and the class. The technology/Makerspace Lab for students in grades 3-8 contributes to the academic success of our students by creating opportunities for them to learn by using their tactile senses. 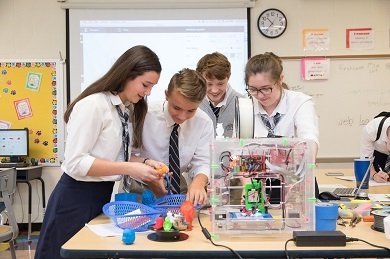 Through the use of robotics, 3D printers, virtual reality, STEM sets, recycled and other non-digital items, students are given the opportunity to create, collaborate and explore. In addition to regularly scheduled classes in the technology lab, all classrooms, teachers and students are equipped with the technology necessary to incorporate digital skills throughout the learning experience. Grades 6-8 are 1:1 with iPads, grades 4-5 have dedicated classroom sets of iPads, and iPads are available for use in grades K-3 for enrichment. Our goal is for students to become proficient, responsible and productive members of our increasingly digital society. The Learning Lab provides a variety of instructional techniques and materials to guide students who need academic support or academic enrichment. Saint Matthew School has an inclusive school environment, and our learning specialist assists the classroom teachers by giving additional support to students with diverse learning abilities. Strategies are incorporated for all learning styles:auditory, visual and kinesthetic, in order to insure that each student can be successful and be allowed to progress in his or her own unique way.